If you're looking for something off the beaten path in Tokyo, how about stopping over at Ota City and the nearby Shinagawa area? This area is not only for accommodation but also for exploring attractions of Tokyo, differ from what you find in the central downtown area. Ota City or Ota-ku ward 大田区 is one of 23 special wards of Tokyo, is located on the shore of the Tokyo Bay in the south of Central Tokyo, Though Ota-ku Ward has been residential and small factory areas, there are pockets of historic sites, including numerous temples and shrines as well as burial mounds from ancient times. On the shore of the Tokyo Bay are greenery parks and various recreation facilities, and the Tamawaga riverside is blessed with Sakura cherry blossom viewing spots (at full bloom around the end of March). The hilly area in west Ota-ku was beloved by many renowned　writers and artists in the past. 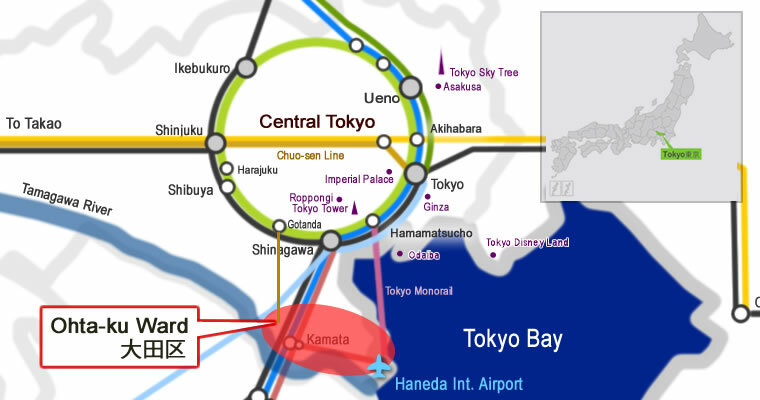 Taking the Keikyu Airport Line from Haneda International Airport (Haneda Airport International Terminal) it takes only 5 or 8 minutes to reach Keikyu Kamata Station, the hub Station on the Ota-ku ward. The train/bus access in this district is pretty good, allowing to travel east to west or south to north between towns in Ota-ku within 15 to 25 minutes. It is also easy to reach JR Shinagawa Station 品川駅 by train where you can take the Shinkansen Bullet Train heading for western regions of Japan. Ota-ku area can be divided into 4 areas as the map shows. 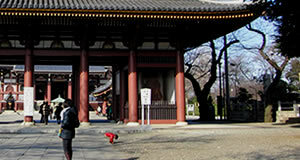 Some attractions in Area 2 are actually located in Shinagawa-ku ward in the north. 2. JR Kamata Station JE蒲田駅 leading to major stations on the JR Line such as Shinagawa Station, Tokyo Station, and Yokohama Station. 3. Tokyu Kamata Station 東急蒲田駅 (connected to JR Kamata Sta.) on the Tokyu Line 東急線 leading to towns in west Ota-ku. It is about 700m(a 10-to-15-min walk distance) between JR Kamata Station and Keikyu Kamata Station. The bus terminal is located near JR Kamata Station (West Exit). 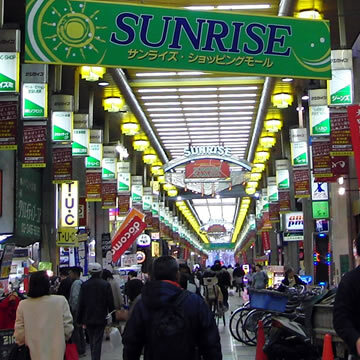 Many commuters living in Ota-ku change trains or take a bus at Kamata Station on the way to their home, The square around Kamata Station has been developed as a commercial area having shopping streets and Izakaya restaurants. 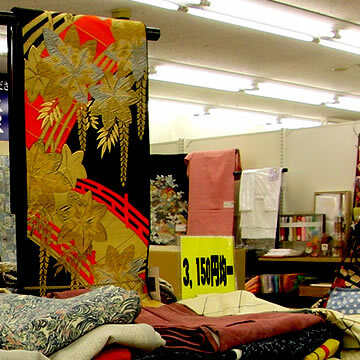 Yuzawaya, one of the largest craft stores, has 5 buildings near JR Kamata Station (South Exit) where you can find unique items in traditional Japanese design, suitable to create Anime Cosplay things. Kamata used to be a town of film-making like Hollywood. The Shochiku Film Company’s studio was there from 1920 to 1936, numerous masterpieces were created by directors including Yasujiro Ozu, whose movies have been inspiring many movie-creators even to this day. Though the atmosphere of those good old days is hardly found by now, Kamata is a good place to explore everyday attractions in Tokyo. 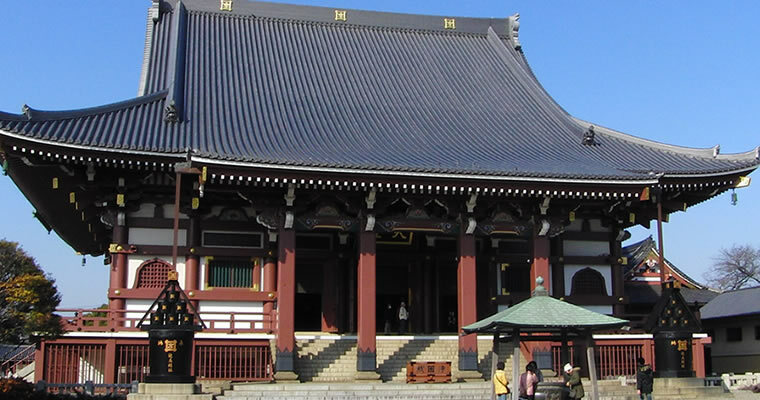 This large temple was built at the place where the Buddhist Monk, Nichiren Shonin entered Nirvana in 1282. The temple stands on the top of a hill with trees, patches of Sakura cherry blossoms in spring (late March), and colorful leaves in autumn. Entrance is free. Lies next to Ikegami Honmonji Temple, this Ume Plum Garden is former residence and studio of Ito Shinsui, an artist of Japanese painting. 370 Ume trees bloom around the middle of February. 20-min walk from Ikegami Station 池上駅 on the Tokyu Ikegami Line. 10-min walk from Nishimagome Station 西馬込駅 on the Toei Asakusa Subway Line. Kamata town is blessed with hot springs and there are public bathing facilities called Sento (Spa house) using the natural hot water springs. The hot springs in Kamata are called Kuroyu or black hot water, which comes from coffee-colored water containing plant-derived components (humic acid). Most hot springs in Tokyo have this kind of dark brown color. Shinagawa Aquarium is one of the most popular aquaria in Tokyo. This aquarium lies next to Shinagawa Kumin Koen Park しながわ区民公園 that includes various recreation facilities, a baseball ground, tennis courts, a day camping/BBQ site, and gardens with 400 cherry trees and 130 plum trees. 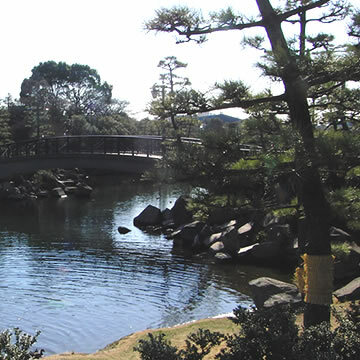 In front of the aquarium is a traditional Japanese garden having a man-made seawater pond. 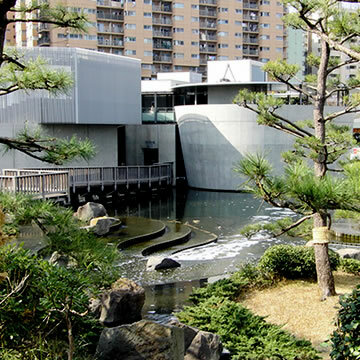 The actual location of this aquarium and the park is not Ota-ku ward, but Shinagawa-ku ward. This is a seaside park in Omori town, has a beach and a museum "Omori Nori Museum" (Admission is free). Omori town used to be a large center of Nori (seaweed sheets) production in Tokyo. The park on the reclaimed land of Tokyo Bay, with a variety of natural settings that includes bushes and muddy flats in an area of 24.8 hectares. Some 120 different species of wild birds are observed throughout the year. It is a good place even for a walk and a picnic. Admission is 300 JP Yen/adult, 150 JP yen/child. Closed on Mondays. One of the largest horse race track in Tokyo. Speedboat races are held at this racing course. Male and female riders race together and all the riders are supposed to maintain the adjustments of their own boat. Only riders who have combined ability as a rider and a mechanic can grasp the victory. A complex of wholesale market handling fresh foods and flowers. Numerous imported flowers are gathered at this market for bidding. The market is open to visitors from 5:00 to 15:00. A large pond located in Senzoku town in north Ota-ku has been depicted in an Ukiyoe woodblock print by Utagawa Hiroshige. The natural water running from springs around this area has created this pond. 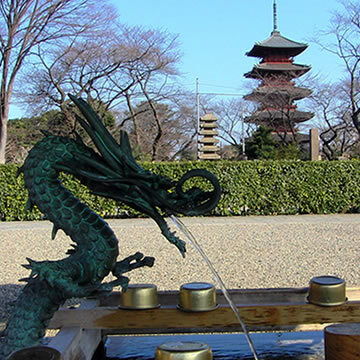 The pond is in Senzokuike Park that includes attractions; boating, water garden, historic monuments and shrines. Senzoku park is one of the best Sakura cherry blossom viewing spots in Tokyo. (Blooms around late March). 1-min walk from Senzokuike Station 洗足池駅 on the Tokyu Ikegami Line 東急池上線. The park with 6 hectares, lies in the hilly area along the Tamara riverside, includes a water garden, a hydrangea garden, walking paths, and the tombs dating from between the 4th and 7th centuries. On a clear, sunny day Mt.Fuji can be seen from the outlook deck. This park is also popular for Sakura cherry blossom viewing. (Blooms in late March). 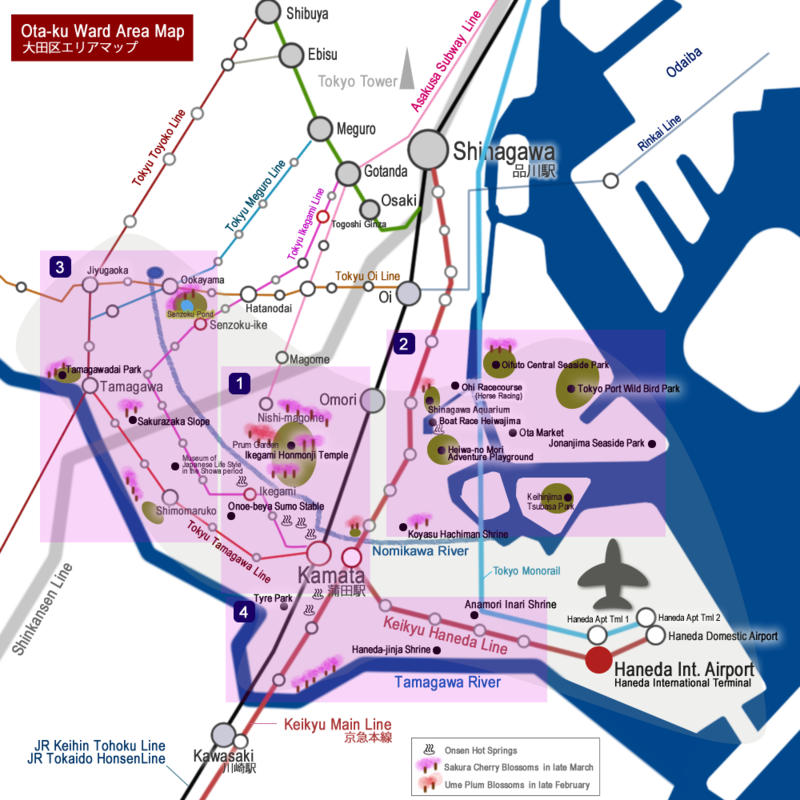 1-min walk from Tamagawa Station 多摩川駅 on the Tokyu Tamagawa Line / Toyoko Line / Meguro-sen Line. 8-min walk from Shimomaruko Station the Tokyu Tamagawa Line. It is allowed to watch Sumo practice only from outside of the building. A greenery area along the Tamagawa river. The road on the river bank is fringed with Sakura cherry trees. You will get a great feeling from cycling there in Spring. Near this place is a shrine Rokugo-jinja 六郷神社 built in 1057. 10-min walk from Rokugo-dote Station 六郷土手駅 on the Keikyu Honsen Line. Anamori-inari shrine was built in 1818 in order to pray for safety while the current airport site used to be a fishing village often suffered from flood. This shrine has now known for the god of good crops and prosperous business. A collection of small red Tori gates is a must-see.